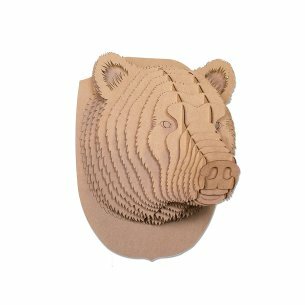 Cardboard Safari, based in the blue Ridge mountains in charlottesville, Virginia, is inspired by the landscape that surrounds them. They celebrate the Union of art and technology, joining imagination and fabrication to make beautiful sculptural forms for your home. Their goal is to make neat stuff, fun products that Foster an appreciation for the natural world. Creativity, conservation, and collaboration are paramount to their mission.